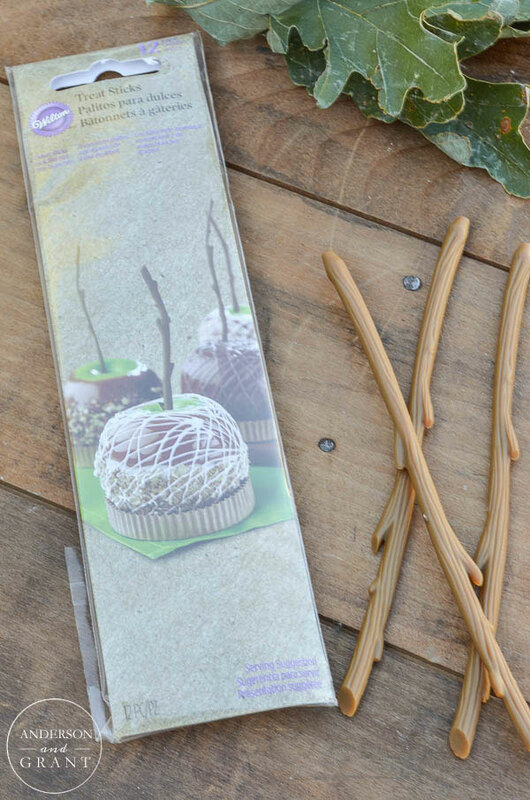 At the beginning of the fall I picked up these sticks made by Wilton at Michaels that look like little branches to stick into your caramel apples. Aren't they adorable?!?! Into my cart they went with the thought I'd go right home and whip up some caramel chocolate apples for you, just like the special little treat I received years ago. Even though you wouldn't be able to taste them, you could delight in their beauty and then make your own to enjoy. 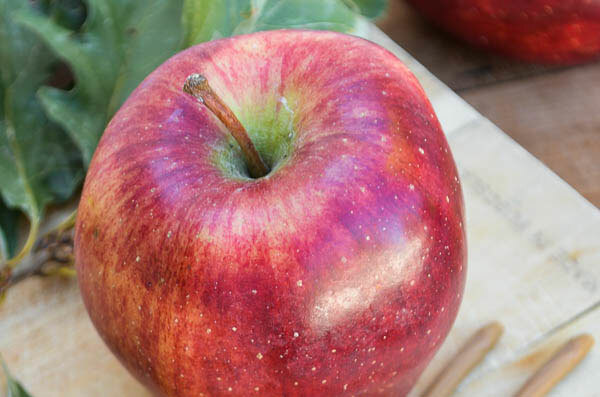 I buy caramel dip (affiliate link) at the grocery store and coat the outside of the apple. Then I stick the apples in the refrigerator on a piece of waxed paper for the caramel to harden while I use my foolproof method for melting chocolate for the outside. 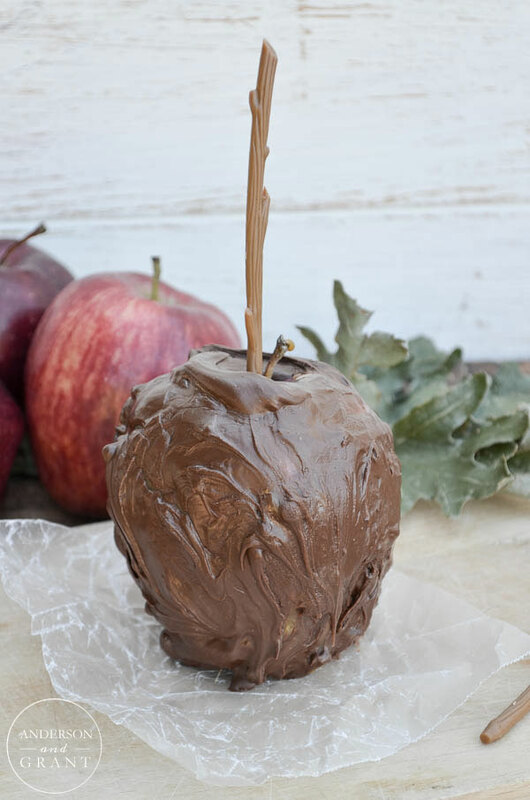 When the chocolate is melted I coat the outside of the caramel apple and then return the apples to the refrigerator for the chocolate to harden. Then I take the apples out, add them to some little cellophane bags that I had prepared and tie them with a bow and add a cute fall tag. That is how the whole process was supposed to go. 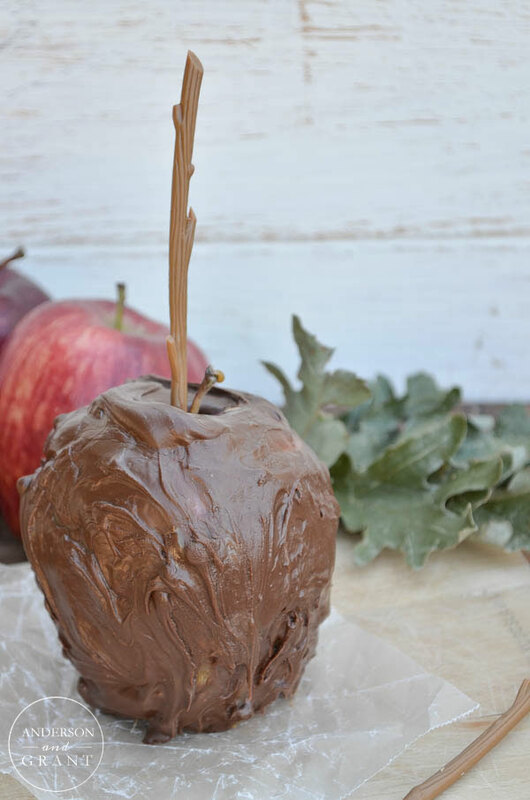 Aside from the fact that I was about a month later than anticipated in making this treat, it was one of those days where I obviously wasn't supposed to make chocolate covered caramel apples. The caramel wouldn't harden. My chocolate chips wouldn't melt. And then by the time I finally got chocolate and caramel on the apples in a very unattractive way, there wasn't daylight left for the chocolate to dry enough to stick the apples in their bags in order for me to take pictures. And that is life. Sometimes you burn cookies. Sometimes the cake you thought was done is still raw in the center. I'm not going to profess that each and everything I do turns out perfect because quite honestly, it rarely does. As bloggers we aren't really encouraged to share our not so pretty moments, but I felt compelled to do so today. I decided to embrace the imperfections in my creation and let the frustration of a failed post pass. And you know what? 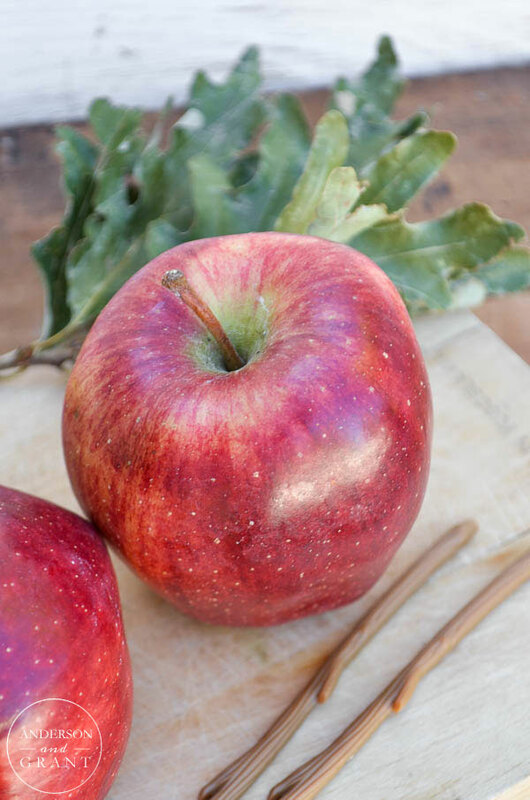 These apples might not be beautiful, but they sure were still good to eat! Have you had any experiences lately where things just didn't go as planned?